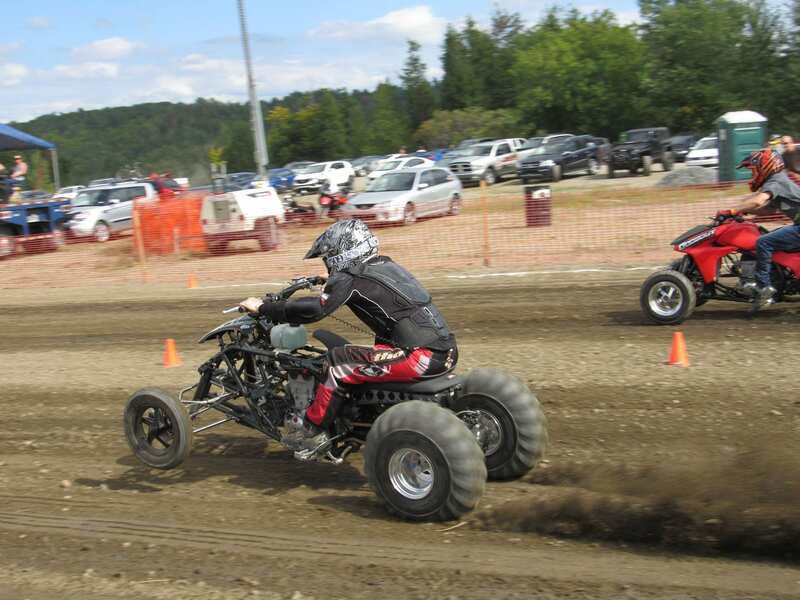 In a previous article, I mentioned the usefulness of a dynamometer in the modified ATV world. A meeting with the performance specialist, Pierre Jacques of Multimécanique PJshowed me that even in the context of simple mechanical maintenance, the dynamometer can show you a well-expanded view of the mechanical health of your machine. This measuring device is available in several configurations, and some even have an integrated weather station for more precision. 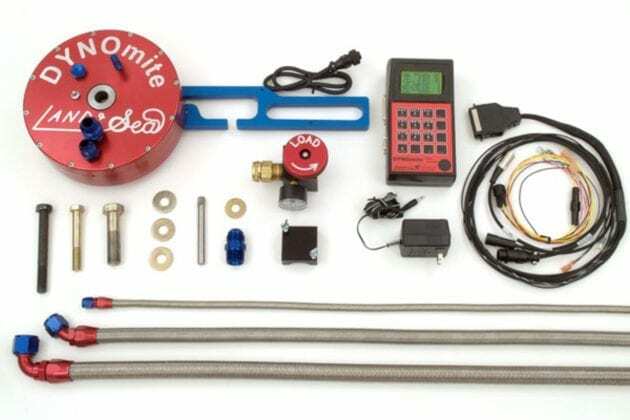 Let’s start with the different dynamometers that we find on the market. One of them is the engine dynamometer. This one is directly attached to the engine’s crankshaft. Engine makers use this method to determine the horsepower (hp) and torque (lb-ft) of their creations. It has the advantage of measuring the engine power without the side effects caused by the drivetrain or the transmission. As there is no loss caused by a transmission, the data obtained will tell you the torque/power ratio according to the ideal engine revolution (rpm). An adjustment of the transmission ratio will be done accordingly in order to obtain optimum performance. 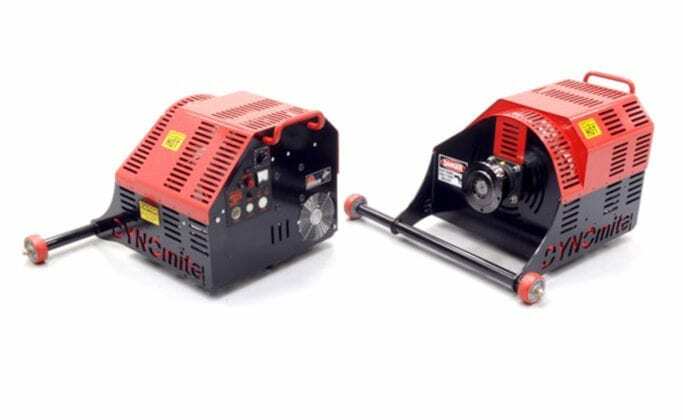 The major disadvantage of this type of dynamometer: we have no idea of ​​the real power transmitted to the wheels. It is also a complex installation and requires several engine adapters. The second dynamometer type is one that installs on the wheel hubs (axle-hub dyno). We must remove the wheels, fix adapters instead of wheels, and attach the dynamometer to each wheel. As we can easily guess this dyno type measures the power to the wheels. The final result will always be less than that indicated by the manufacturer because of the friction caused by the transmission. 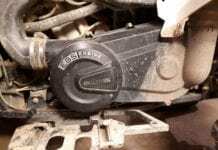 With this method, a transmission, belt or clutch that is poorly adjusted or in poor condition will be clearly visible by observing the power curves associated with the engine revolution. What is less advantageous of this dynamometer is the laborious installation, and the need for several wheel adapters. The last type is the chassis dynamometer. It is the most common and the most versatile. It is easily configured in less than two minutes and can be rapidly switched from ATV to motorcycle. 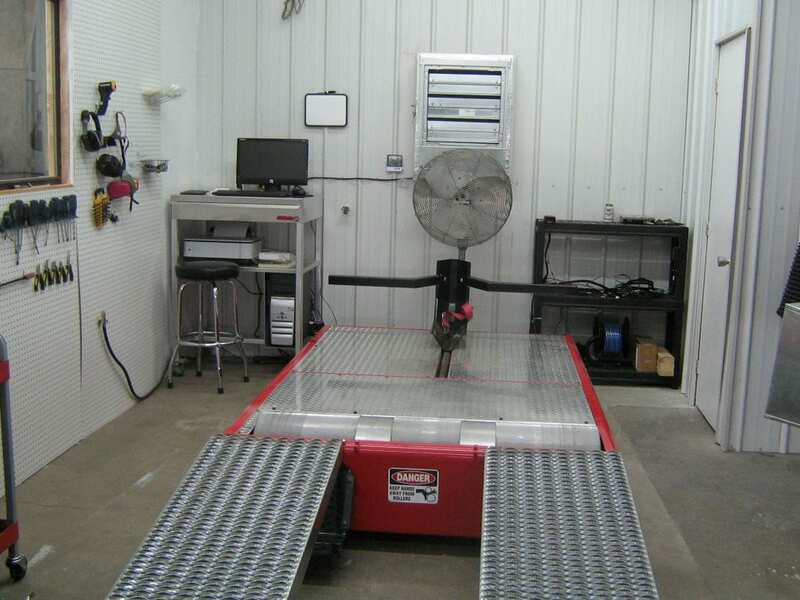 This dynamometer uses large rollers that the vehicle’s tires rotate. The rest of the operation is similar to that on wheel hubs dynamometer (axle-hub dyno). 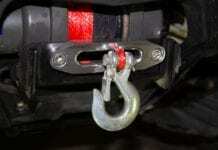 It requires no adapters, and the installation on the vehicle is done in less than 5 minutes. The only drawback is that it is fixed in a room or sometimes in a trailer. We have all already noticed that air temperature, humidity and atmospheric pressure greatly influence the level of engine efficiency. So, if you get the services of a dynamometer workshop, find out if it has a weather station connected to the device. If so,the dynamometer management computer uses an algorithm according to the weather conditions and displays corrected measurement results. In this way, if you do dynamometer tests with different weather conditions, the measured result will be reliable and comparable to those before, regardless of the weather conditions at the time of the tests. 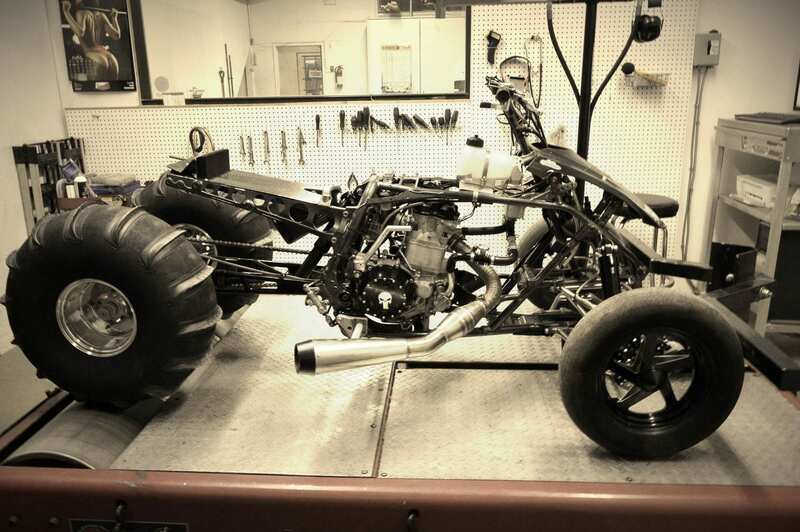 In this specific case, I wanted to make mechanical modifications to an ATV. I want to know if I am going to have a real performance gain so I appealed to a company that owns a roller dynamometer which is, of course, connected to a weather station. Pierre Jacques, owner of Multimécanique PJ, collaborated without hesitation on the project. 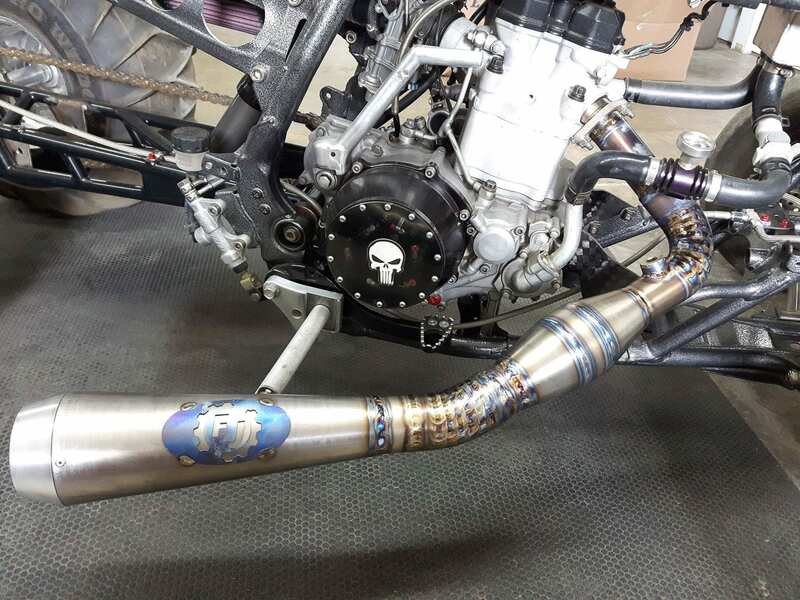 He has been professionally working in the field of recreational vehicle performance and modification since 2005. It must be impossible for him to keep a machine as it was originally (stock). He not only installs performance parts but also analyzes the engine design and customizes engine parts that are always more efficient. 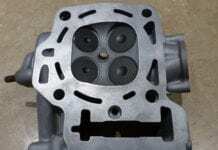 His network of suppliers even allows him to get special engine parts such as pistons, camshaft, valve seat, etc. customized to his requirements. 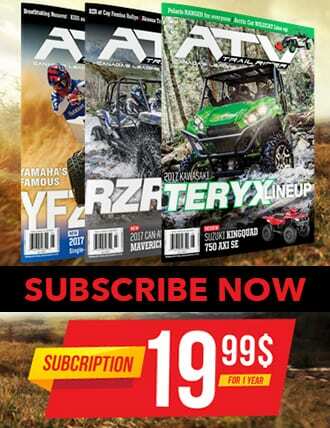 His own competition ATV, a very impressive Yamaha YFZ450R, is proof of his skills. 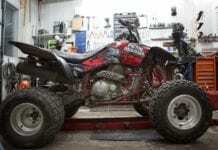 Before putting your ATV on the test bench, make sure to bring it to the ideal mechanical condition: fresh fuel with the right octane rating, top shape belt and tires, and clean air filter. The condition of these components should be the same throughout your testing. If you replace any of these elements between the dynamometer tests, you have modified a variant and your result will be distorted. 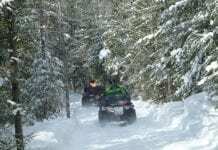 Now that my ATV is ready, I head for Multimécanique PJ in Thetford Mines. On site, Pierre installs my ATV on the dynamometer. Without delay, he makes a test and saves it. He did some more tests to confirm the results. Then he gave me a little training course to understand the graph, the horses, the torque, the openings of the clutches and more. The ATV has shown 35.35 horsepower (hp) to the wheels. 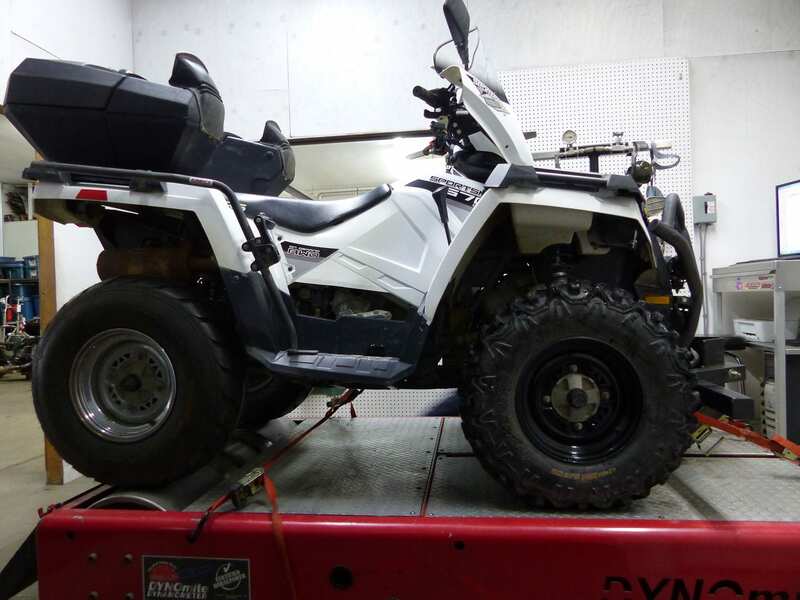 The manufacturer advertises this ATV for 44 horsepower (hp) directly to the engine. So, the drivetrain and wheels absorb about 9 horses. The engine’s revolution graph has a flat profile, which indicates that the transmission works well by keeping the engine speed constant as the ATV accelerates. We see a recovery towards the end that falls abruptly because of the intervention of the engine’s speed limiter. 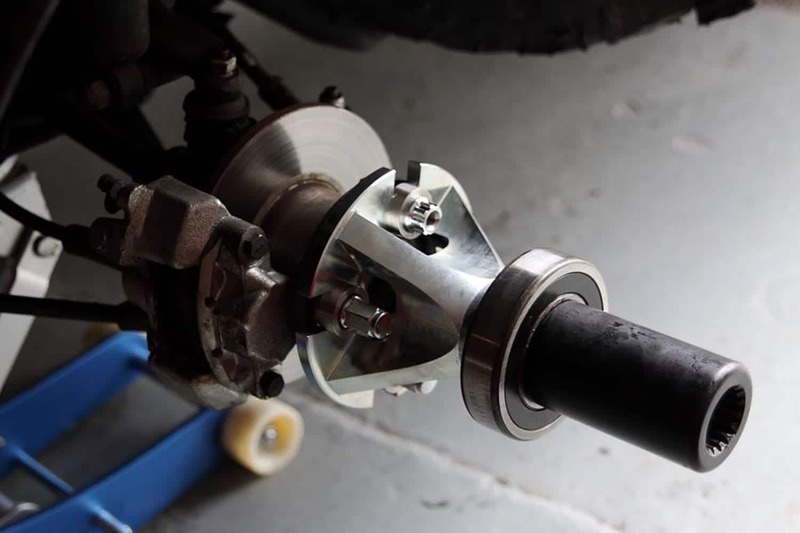 It is normal for the torque and power lines to drop as clutch ratios change and increase engine power. 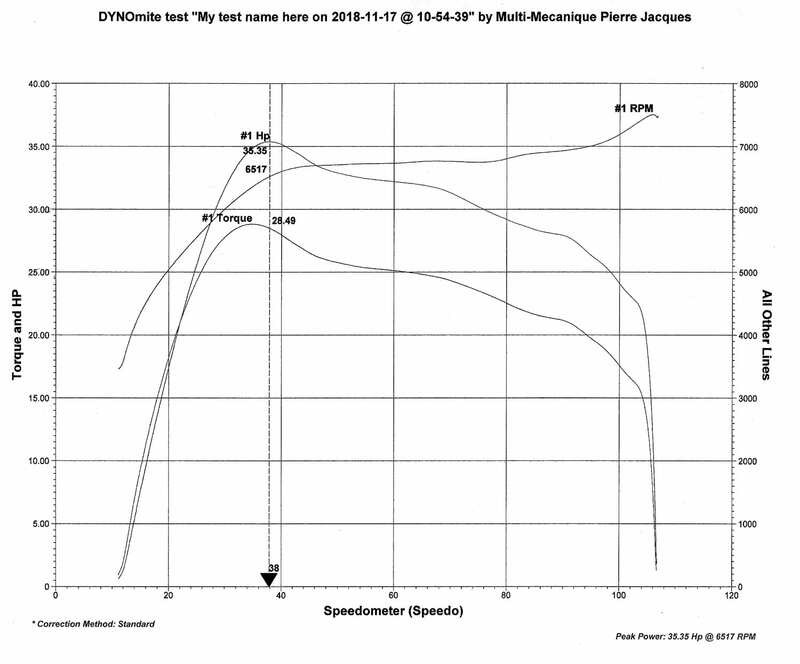 Now that Multimécanique PJ has demonstrated on a graph what my 2015 Polaris 570 is capable of, I am ready to undergo some mechanical modifications to optimize its performance. Then I will go back to Multimécanique PJ and confirm if there will be a real power gain. I now have a number to beat: 35.35 hp. Many people will invest large sums of money in performance parts, but they will never invest to calibrate all this, relying on misleading driving impressions. At the cost of the changes, do not waste your time and money with performance impressions. A quick dynamometer test will instantly confirm your efforts or reveal a failure that could be fatal for your investment. Follow us in a future issue to learn more about our optimization approach.